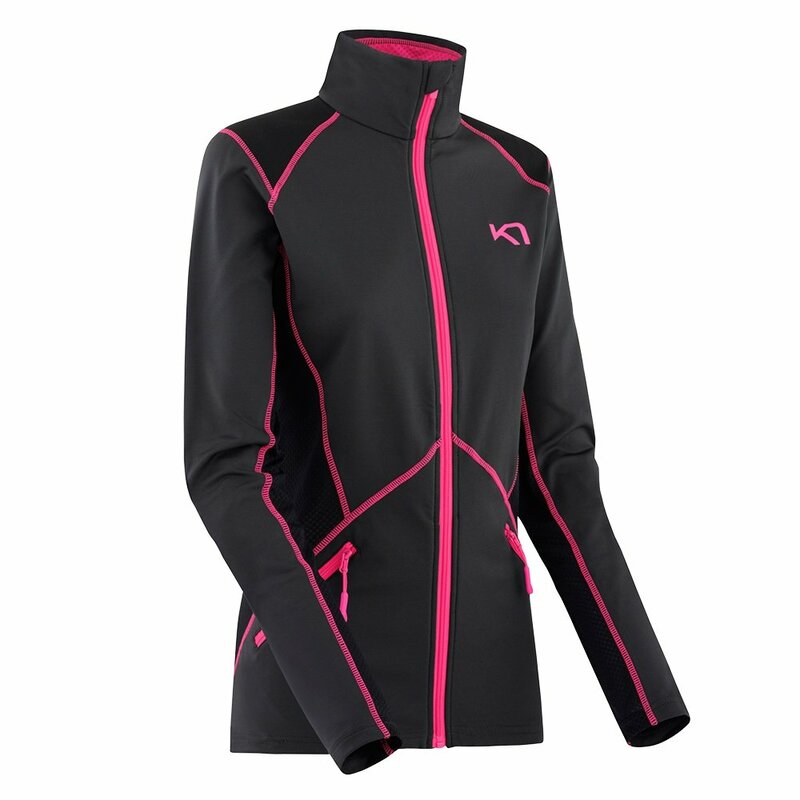 If you're looking for something flattering without being skin tight for the gym, look no further than the Kari Traa Lise Full-Zip Running Jacket. With a full-length zipper, it's ideal for variable temperature conditions - just unzip it once your muscles start warming up. Strategically placed mesh under the arms and shoulders help encourage ventilation and the poly-elastic fabric blend dries quickly. The Lisa Full Zip has two side zippered pockets, perfect for securing your gear during long-distance runs. A chin guard protects your chin from any rubbing or chaffing from the zipper. A slim silhouette is flatting but not tight. The four-way stretch fabric moves with your body during workouts.